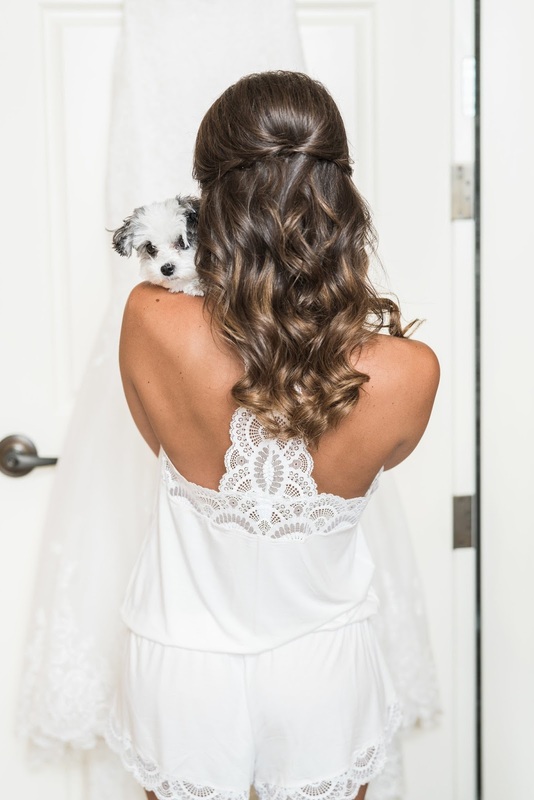 When I shared a photo featuring the back of the romper I wore while getting ready for our wedding, I received a ton of questions about it! Sadly, this exact version has sold out but Eberjey has come up out with this very similar one for this season! I've also gathered up a few other options that make great getting ready options. I wore my cozy romper under this robe, and I will say if you're looking for a white robe, this is a perfect option. I wear mine all the time while getting ready, and I love it because it's lightweight, so it doesn't get in my way when I'm drying my hair or putting on my makeup. I'll also throw it on over my favorite t-shirt and shorts when I'm just lounging around the house but don't feel like putting on a sweater. If you're looking for a romper, this one is a great option as it has an adorable lace back. I also love the lace shorts from this two-piece set. How cute are the scallops?! Shop some of these adorable getting-ready options for your big day.